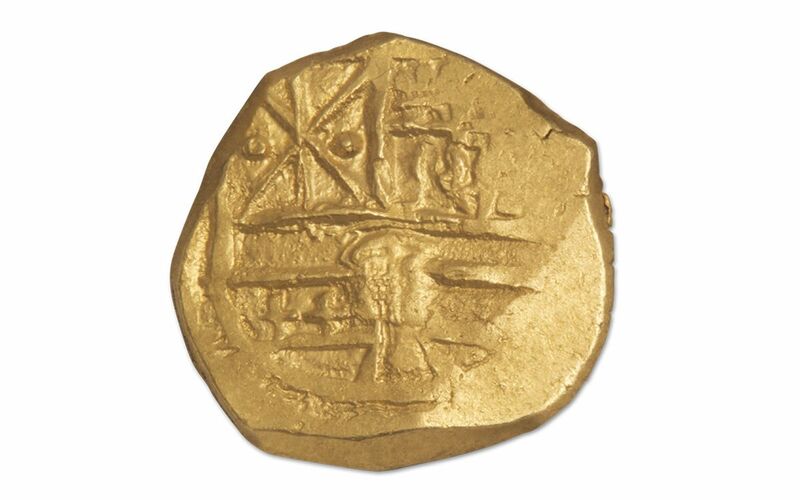 The Sunken Treasure That Funded Blackbeard! 300 years ago, a fleet of 11 ships left the New World loaded with a variety of treasures. Named for the Spanish word for silver, the Plate Fleet was struck by a hurricane off Cape Canaveral, Florida, on July 31, 1715. The entire fleet was lost, and 1,000 sailors lost their lives. The survivors did what they could to salvage as much of the treasure as possible, but soon other ships, having heard the news, came calling -- and with little desire to help the survivors. 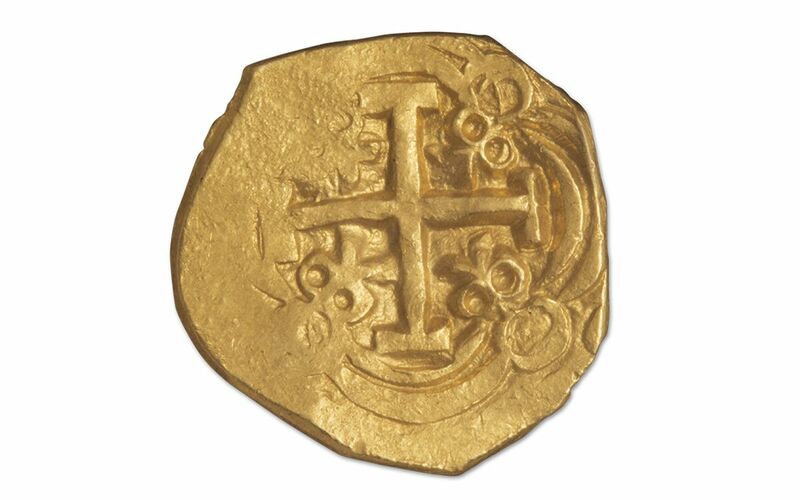 120,000 Escudos, also known as "Pieces of Eight" were stolen and brought back to Jamaica. Eventually, the raiders turned to outright piracy, helping establish the legendary pirate haven in the Bahamas that would support Edward "Blackbeard" Teach, "Calico" Jack Rackham, Charles Vane and other notorious pirates set on stealing as much of the lost treasure as possible. Eventually they would branch out their pirating operations, but the wreck of the Plate Fleet stands as one of the most important events in pirate history. 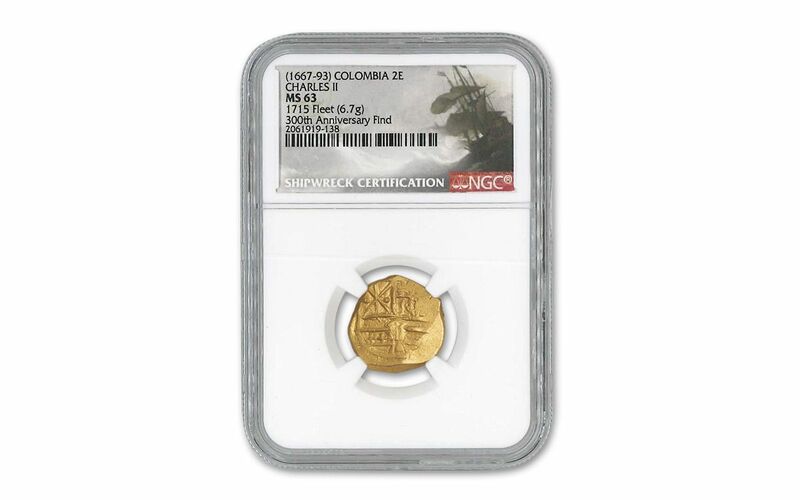 Authenticated and graded by Numismatic Guaranty Corporation (NGC) in Mint State-63 (MS63) condition, every two Escudo coin minted between 1667 and 1693 has been granted a "1715 Fleet" pedigree, absolutely guaranteeing that these coins came from the historic shipwreck. 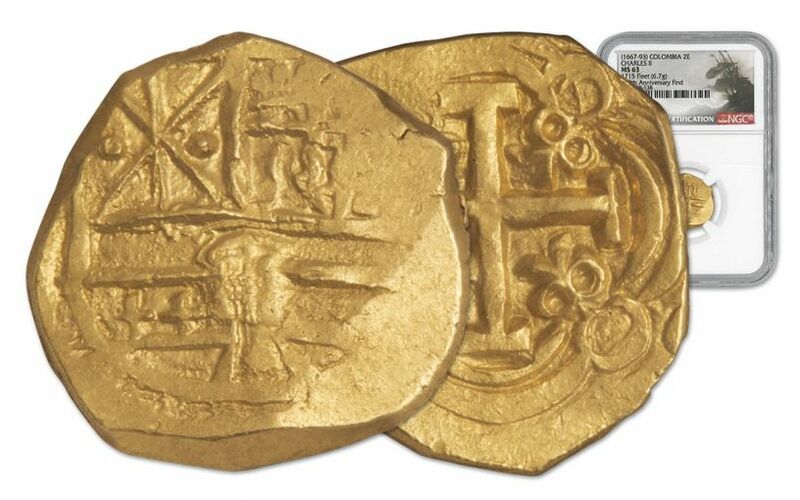 Size varies, as each of these coins was struck by hand!